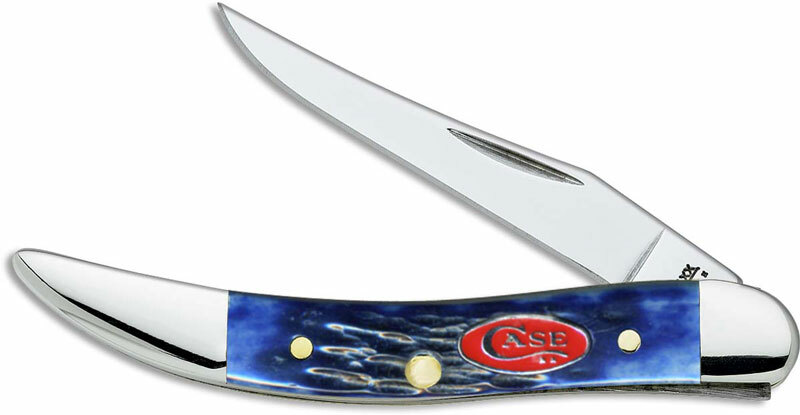 The illustrated Case Knife is the Navy Blue Bone (610096SS) Case Small Texas Toothpick Knife that features a long clip blade made of Tru-Sharp surgical steel. The jigged Navy Blue Bone handle of this Case Knife, 3" closed, has a red enameled Case shield and nickel silver bolsters. The Case Small Texas Toothpick Knife with Navy Blue Bone handle weighs 1 ounce.